There are some professionsâ€”surgeon, firefighter, parachute jumperâ€”in which you really donâ€™t want to make a mistake. Add to that list â€œCIA operative.â€ John Kiriakou found out the hard way. 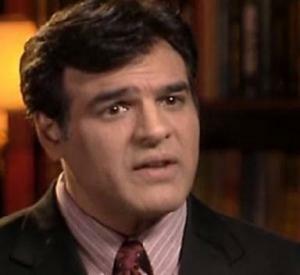 Kiriakouâ€™s CIA resume was sterling: Middle East analyst, economic officer, foreign-agent recruiter, Chief of Counterterrorist Operations in Pakistan, leader of raids against al-Qaeda, and even the target of assassins. In 2004, he resigned from the CIA with a multitude of awards, medals, and other honors. Kiriakou joined an accounting firm and later became a terrorism consultant for ABC News, a senior investigator for the Senate Foreign Relations Committee, a managing partner of a consulting firm, an author, and a speaker. And then, in 2007, came the ABC News interview during which he described waterboarding as â€œtorture.â€ That statement put him in demand as a guest expert on news and public affairs shows. He was the first U.S. government official to confirm the use of waterboarding al-Qaeda prisoners as an interrogation technique, and he was also the first to label it as torture. The mistake that technically got him in trouble occurred several months later. At a reporterâ€™s request, he offered the name of a former CIA interrogator. The interrogator was supposedly retired, never served under cover, and had already placed his personal information on a public website. However, Kiriakou told the reporter that the interrogator had participated in a CIA operation that the government later claimed was classified. After an extensive FBI investigation, Kiriakou was charged with disclosing classified information as well as lying to the CIA to get his book (The Reluctant Spy: My Secret Life in the CIAâ€™s War on Terror) published; three months later, he was indicted and released on bail. In October he agreed to plead guilty to one of four counts against him and in January 2013 was sentenced to 30 months in prison. Since the charges were filed, Kiriakouâ€™s life has been a mess. His wife, who also worked for the CIA, resigned under pressure. Legal fees ran upward of $600,000, and the familyâ€”he, his wife, and three young childrenâ€”had to go on food stamps, rent out their house, and move to a much smaller place. And now, despite support from other former CIA operatives as well as from peace activists, he is in a federal prison. From Kiriakouâ€™s perspective, he actually made two mistakes. One was divulging the name of the CIA operative to the reporter; that provided the legal basis of the case against him. But the bigger mistake, the one that mightily displeased his former employers, was blowing the whistle on waterboarding and contributing to the public campaign against it. Questioning the agency\'s morals for engaging in torture put this honored former agent in prison. Despite his present situation, Kiriakou is not remorseful and considers himself a â€œtrue patriot.â€ Many agree.